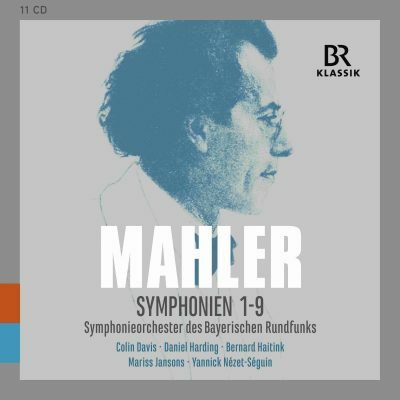 The Symphonieorchester des Bayerischen Rundfunks plays all the symphonies of Gustav Mahler in this collection with a total of 11 CDs. The conductors were Mariss Jansons and Yannick Nézet-Séguin, Bernard Haitink, Daniel Harding and Sir Colin Davis. The performances were recorded live between 1996 and 2016 in the Philharmonie im Gasteig and the Herkulessaal of the Munich Residenz, and most of them are recent.